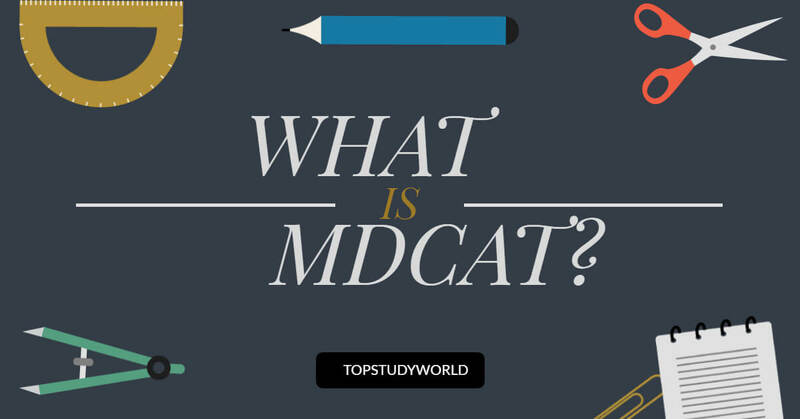 Are you the student of Matric or F.Sc pre-medical and you want to know about MDCAT? I am sure you want to be a doctor, that's why you're here. But the problem you may be currently facing is that nobody is telling you everything being so-called 'busy' in the modern era. MDCAT Medical & Dental College Admission Test) is an entry test taken by UHS in order to take admission in different government and private medical colleges of Pakistan for MBBS, BDS and some other fields like DVM. It's a standardized, multiple choice examination designed to access the examiner’s problem-solving, critical thinking, writing skills and knowledge of science concepts and principles. Are you passionate to be a doctor? Do you think you're unique among the 65, 155 pre-medical students? Because only about 3500 students are selected for government medical colleges, yes, it means the acceptance rate is 8%. There is no shortcut to clear the MDCAT. You have to take the most challenging test in order to clear because MDCAT holds 50% of the water. It means you need to focus on your F.Sc marks. Because most students make F.Sc mistakes and fail to get admission. You should not manipulate your brain that you will work hard in MDCAT, but not in F.Sc. If you can't work hard at F.Sc level, then how you can say, you will hard work for MDCAT? Just think! The eligibility criteria are nothing ('criteria' is a plural noun do you know?) more than getting a ticket to take the MDCAT because all you need to get 60% in SSC and HSSC. A ticket? What do you mean? I mean the closing merit of MDCAT every year closes above 85% for the regular students otherwise many disabled students are able to get admission even if they have 65% in MDCAT. According to PMDC, your subjects must be Physics, Chemistry and Biology because no other combination will be accepted. It means ICS, F.Sc (Pre-Engineering), ICOM students can't take the Entry Test. Pakistan Medical and Dental Council has set no minimum or maximum age limit for candidates who want to appear in the test. Yes, it is true. I saw a case where a 30 year old girl took the MDCAT and was able to take the admission in government medical college. What a passion she had! 220? Yes! You might be wondering only 120 MCQs are taken in the HEC ETC Entry Test whereas 150 MCQs are taken in the NTS Entry Test. Did I mention MDCAT is the most challenging exam? That's why, it has 220 MCQs, the negative marking and only 150 minutes. You need to learn Emotional Intelligence to hold your breath in the worst of your time. 5 Marks are awarded for each correct answer. Neither a mark is deducted or added in case the candidate leaves the question. There are no grace marks allowed in this entrance test. Total time allowed for the test is 2:30 Hours. Yes, only 150 minutes! Doesn't it make the exam more challenging and difficult than HEC ETC and NUMS? Because HEC gives you 150 minutes for 120 MCQs and NTS gives 150 minutes for 150 MCQs. The last year 2016, the merit closed at 88.5% whereas, in 2015, the merit closed at 84.9%. It is expected that the merit of 2017 would fall to 85% due to its difficulty level. You will enter your SSC, HSSC and expected MDCAT marks, it will calculate within a millisecond. Thanks God! MDCAT has syllabus unlike HEC HEC Entry Test and NUST that have no specific syllabus to prepare for. Each portion comprises of different unit. There are a total of 5,995 MBBS and 771 BDS seats in public and private colleges of Punjab for students undertaking MDCAT. 555 BDS seats in nine dental colleges affiliated with UHS. There are about 100 Public & Private Medical Colleges in Pakistan. If you know nothing about UHS MDCAT, then this guide is for you. Difficulty level, criteria, syllabus, past papers etc are all in one place.